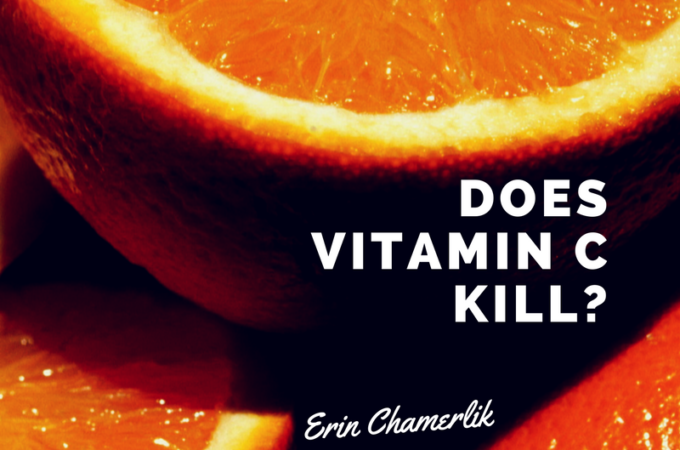 Is It Dangerous to Take More than 500mg Vitamin C? My Mom has been fighting pneumonia for the past few weeks, slowly getting better so I thought I could boost her some with the Vitamin C supplement. Called Target where she has a multiple of prescriptions and they cautioned me to never go over 500 mg a day with Vitamin C. They said that there are results on quite a few tests, unexplainable but definitely documented, that people who take over 500mg a day on a daily basis have died an early death. They don’t really know why. They mentioned the same thing about Vitamin E.
I did go on a Mayo site and they seem to think Vit C has no effects on colds. What is your take is on this? I’m glad you wrote me. Stick with 400 IU of Vitamin E because it is a fat soluble vitamin and you can take too much. Everyone has different needs, but I have taken 10,000 mg in one day when I am sick. Vitamin C is essential. Your immune system runs on vitamin C.
Once you hit “bowel tolerance” you will have diarrhea and know you have hit your limit that you can take orally. That is why sick people have to do IV Vitamin C, to bypass the bowel tolerance issue. Your mom can take a quality Vitamin C like Perque buffered, fully reduced L-ascorbate. Start by mixing 1/2 – 1 tsp in a glass of water and have her drink it several times a day. Perque has published a procedure for calculating how much C to take each day to support your body. This is called the Vitamin C flush and can be found on the Perque website and others. 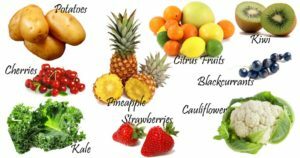 Eat as many lemons, oranges, grapefruits, sweet peppers, kale, parsley, broccoli, and Brussels sprouts as you can for natural Vitamin C too! You can buy a book to have as a reference for yourself to combat the Target people and other people that don’t really know about vitamins and supplements. The only caution is for people with hemochromatosis (accumulate excess iron). These people should not take excess Vitamin C.
Now, go mix your mom a Vitamin C drink! Get her on probiotics because the antibiotics killed off her normal bacteria which she needs for a healthy immune system! Read my post about boosting your immune system here.